Komatsu has established a training academy servicing New Zealand, Australia, and New Caledonia through its newly established business unit, Komatsu Training Academy (KTA). 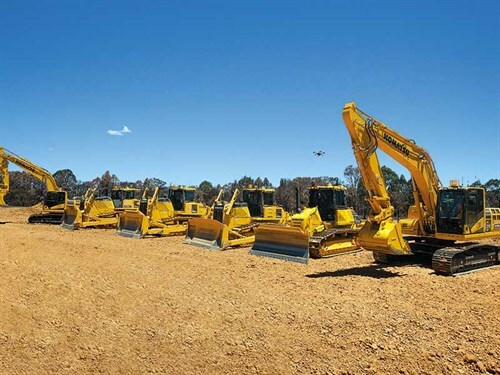 Headquartered in Brisbane, the nationally registered training organisation (RTO) will provide vocational education courses through advanced technical training facilities at the Komatsu Technical Education Centre (KTEC). The company says that KTEC has a range of equipment catering for training not only for mining, earthmoving, and utility products but also equipment used by other industries, such as transport, warehousing, and logistics. The facility is located on more than three hectares of land, with more than 2600 square metres of dedicated training facilities, including seven classrooms, seven technical/electrical laboratories, and a large machine operator’s workshop. Komatsu Training Academy’s national business manager, Janine Temple, says nationally recognised and customised training programmes have been carefully developed for customers where they need it. Courses available through KTA cover a variety of mining, construction, and utility machine types, including backhoe/loaders, dozers, crushers, dump trucks, excavators (conventional and hybrid), graders, and wheel loaders, as well as general systems and technologies. Customers can train online, on-site, at customers’ premises, or at the company’s dedicated facilities in Brisbane and other centres. Janine says that today’s training focuses too much on creating numerous trainees. Rather, she says, KTA focuses on what the market really needs—an upskilling for increased production, improved fuel efficiency, reduced wear and tear, lower operating costs, better preventive maintenance, and greater safety. "A company’s bottom line would significantly benefit between a key technician who is truly proficient at their job versus one who is simply competent," Janine says. KTA branches will be located across Australia, New Zealand, and New Caledonia where training and educational programmes will be available, yet the hub of its operation will be the KTEC headquarters.